Welcome to this south-facing, sun drenched 2 bed 2 bath townhome at Cameron, a community nestled in a convenient, creekside neighbourhood that is 5 mins away from Lougheed Town Centre. 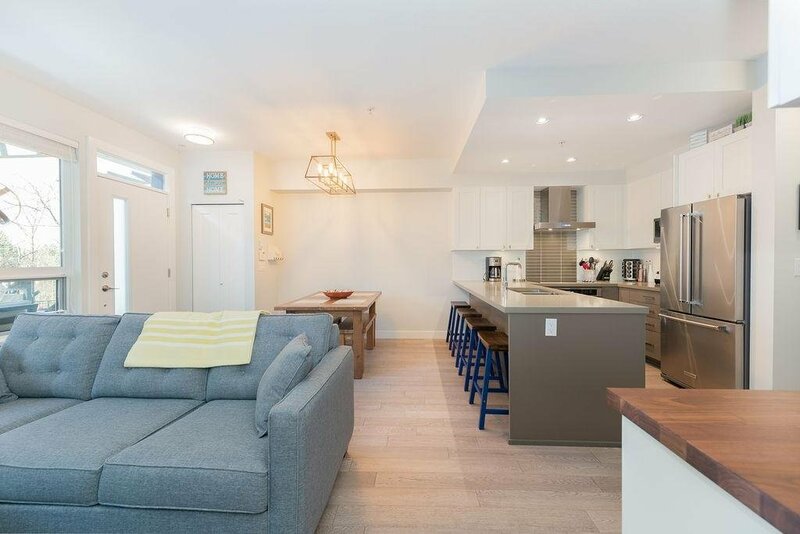 This home features a light colour scheme with engineering hardwood flooring, 9" ceiling, large windows, LED under-counter lighting, home security system, quartz countertops and white wood slat blinds and window screens for all windows. Additional upgrades include French door fridge, custom wine bar with built in cooler and custom shelving under staircase. A south facing deck with plenty of space to entertain. 2 large parkings with an external locker providing plenty of storage. Walking distance to skytrain stations, schools, trails and community centre.